STECHITEGIST is calling on vibrant, social media enthusiast, influencers, and intelligent young individuals to join her clique of campus ambassadors throughout the nation. STECHITEGIST is a student-centric blog where readers tend to embroiled in meaning confabs and wholly updated in latest happenings on and of campuses across Nigeria. We touch other phases of life like entertainments, articles, talk zones, sports, sermon clips, hand-outs and PDF resources, jokes and comedies, health and lifestyles tips, national news and many more. STECHITEGIST is established to disseminate online news, entertainment, and activities majorly on campuses. Our primary audience are aspiring and undergraduates students across institutions in Nigeria. 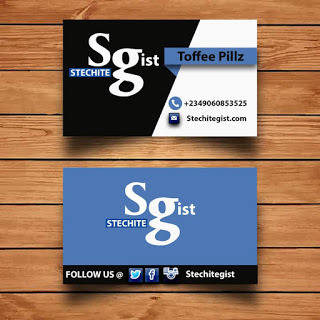 STECHITEGIST needs your help both to raise awareness of the cause across campuses in Nigeria. Our Campuses Ambassadors play a vital role in representing the blog at local events and functions, speaking about our work and its importance. • Represent the interest of the organisation at various events and happenings on his/her campus. • Organise local collections news, gists, and report within the campus. • Raise awareness of the organisation STECHITEGIST, and our work through talking to friends and family and on social media. • Delivering talks to local community groups, schools, faith groups. This is a flexible role and the times may vary but we would like you to attend one – two of your campus main events per month. This role will be based within your local area, with the option to attend events further afield should you wish to.